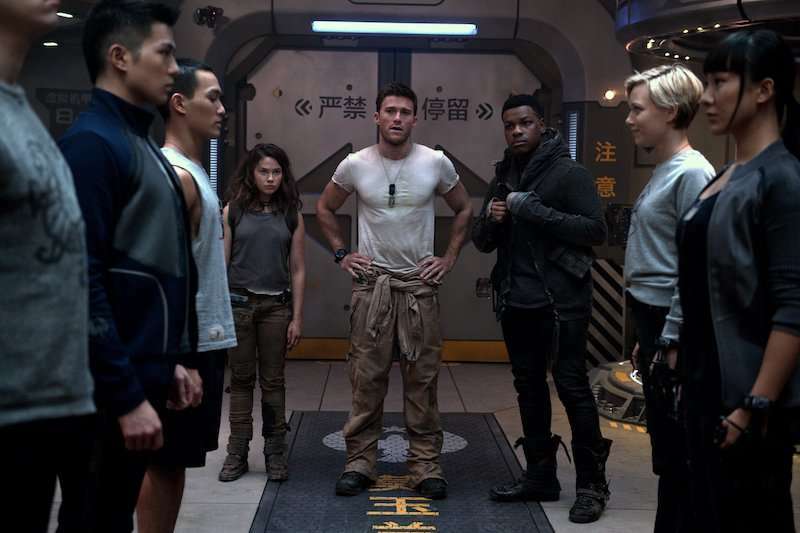 (L to R, center) CAILEE SPAENY as Amara, SCOTT EASTWOOD as Lambert and JOHN BOYEGA as Jake with Amara’s fellow Cadets in “Pacific Rim Uprising.” The globe-spanning conflict between otherworldly monsters of mass destruction and the human-piloted super-machines built to vanquish them was only a prelude to the all-out assault on humanity. 2. Black Panther – It has made over $630 million domestically, and this weekend it takes in $16.6 million. 3. I Can Only Imagine – Drama makes $13.8 million and has collected over $38 million domestically. It’s a huge hit considering its $7 million budget! 4. Sherlock Gnome – A $10.6 million debut is disappointing for this $59 million budgeted flick. 5. Tomb Raider – Flick plummets in its second weekend with $10.4 million. 10. Midnight Sun – Romantic drama collects $4.1 million its its debut weekend.